This chicken teriyaki with rice meal is surly going to be the favorite of many customers who decide to make the purchase. It provides you with 10 grams of protein per serving, which is very important when stocking up on food for emergencies. 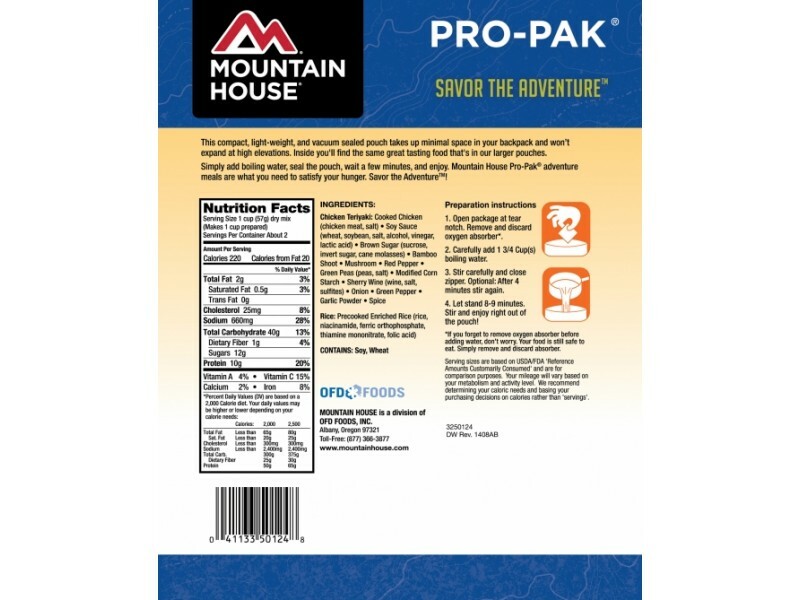 Of course, as with all Mountain House foods, the taste is always excellent too. 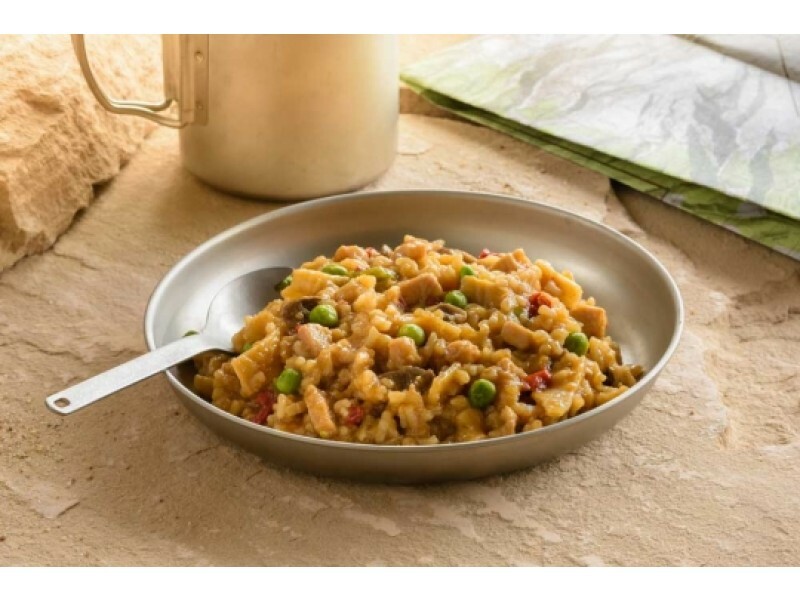 They used great chicken, rice and vegetables to make this Asian inspired dish, and when you prepare it and serve it, everyone will love the great taste. 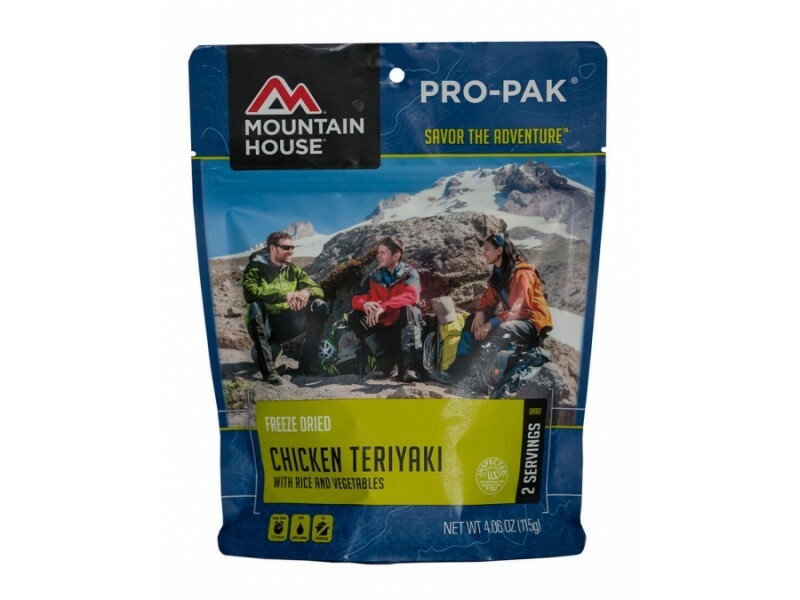 Mountain House has created this great chicken teriyaki pro pack to provide anyone with enough food to get through just about any situation. Each pouch makes 16 ounces of food, which should be enough to fill up on without a problem. Each serving provides you with a wide range of different nutrients, including 10 grams of healthy protein and enough calories to burn throughout the day. If you’re just starting your emergency food stockpile, consider this as an excellent beginning. Buy one or more of these packs to ensure you’ve got the food you need in an emergency. 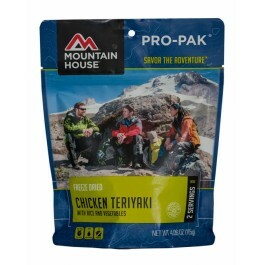 If you want to be prepared for longer term problems, you can buy multiple pouches of this great tasting chicken teriyaki. Of course, if you’ve already got a food stockpile built up, this item is an excellent way to quickly grow it and add some variety to the meals you’ll have available. Every order comes in a vacuum sealed pouch, which helps to keep the food safe and allows it to remain good on the shelf for 10+ years. In addition, it won’t expand at high elevations, which makes it great for traveling or hiking into mountains. So whether you’re preparing for a disaster, or you want to have good food with you when you’re out camping, this chicken teriyaki is an excellent choice.